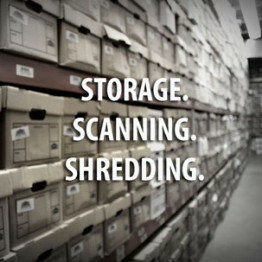 At National Archives all of your boxes are stored on shelving scattered in various location throughout our facility. Access is prohibited to our storage area for compliance and insurance purposes. We do offer scheduled access within a viewing room at our facility. We will stage the boxes you want to review in a room where you will have access to a computer, printer, fax machine, and photocopier to get your work done. Simply confirm the contents of your boxes if you are considering removing them permanently via shredding, or just look through a few boxes for that one piece of paper you need. Whatever it is that you need to do we are flexible and try to accommodate all requests, but generally it is on a first come first serve basis. Our facility is open Monday through Friday 8AM-5PM. Since we only allow secure scheduled access to our facility so please do Contact Us to schedule a date and time to view your boxes.